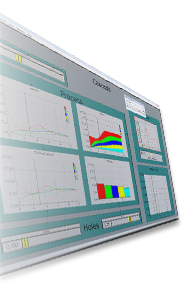 To evaluate MyM's simulation and visualization software, we offer fully functional 30-day trials of all MyM products and editions. We recommend you to try the product you intend to buy. When the trial expires, you must purchase the MyM simulation software to continue using it. Our MyM trial software enables you to evaluate a product and then convert the installed trial to an unrestricted version by purchasing it and entering a serial number. If you have purchased MyM you have to activate your license on-line to register your license and serial number.